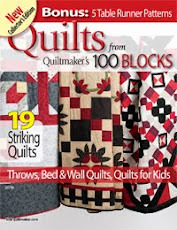 I'm back from International Quilt Market in Houston, and finally catching my breath a bit from travel, filling orders, and just plain doing laundry! Despite all of the media alarmists, the hurricane did not wreak havoc on Houston, but it did bring a lot of rain. 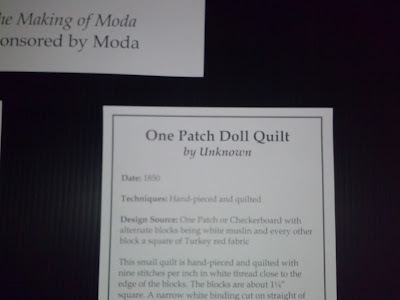 Not something I am used to at all, but it only affected our going to and leaving the convention center. 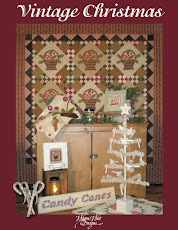 In fact, I didn't even know there WAS a hurricane, until there was some mention of it from fellow vendors. 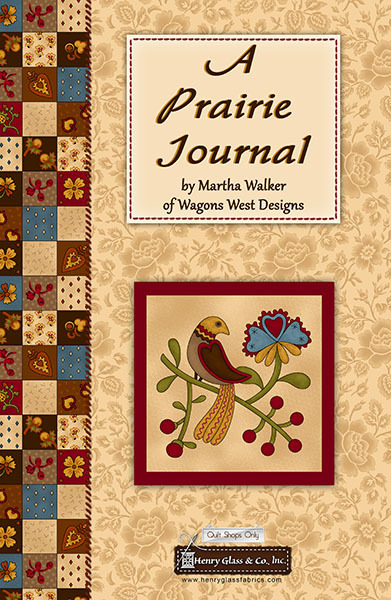 The attendance was low at Quilt Market, so I'm counting on quilters everywhere to let their local quilt shops know about my new fabric line with Henry Glass, "A Prairie Journal". 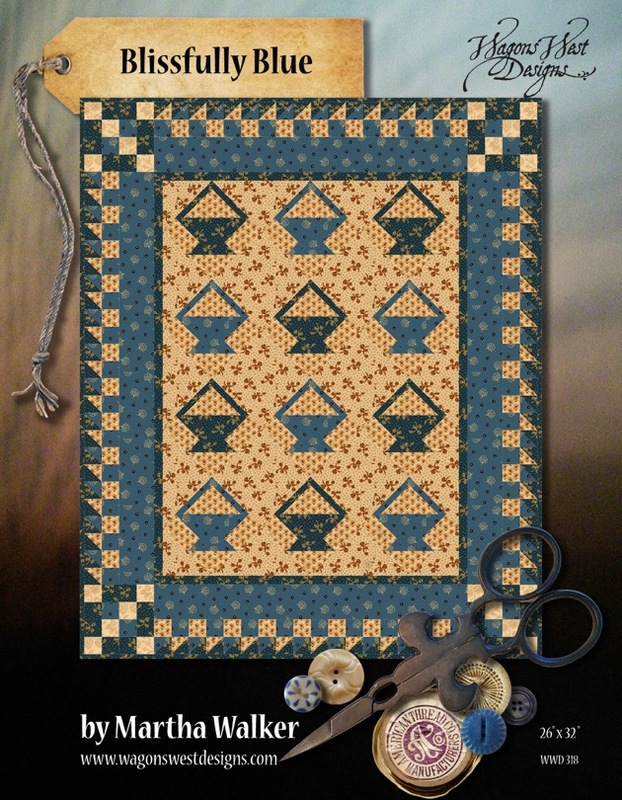 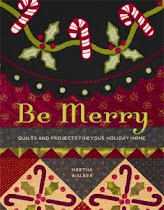 I'm so excited about this line, which was released at Fall Quilt Market in Houston. 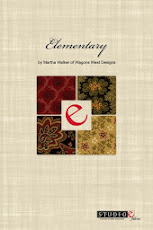 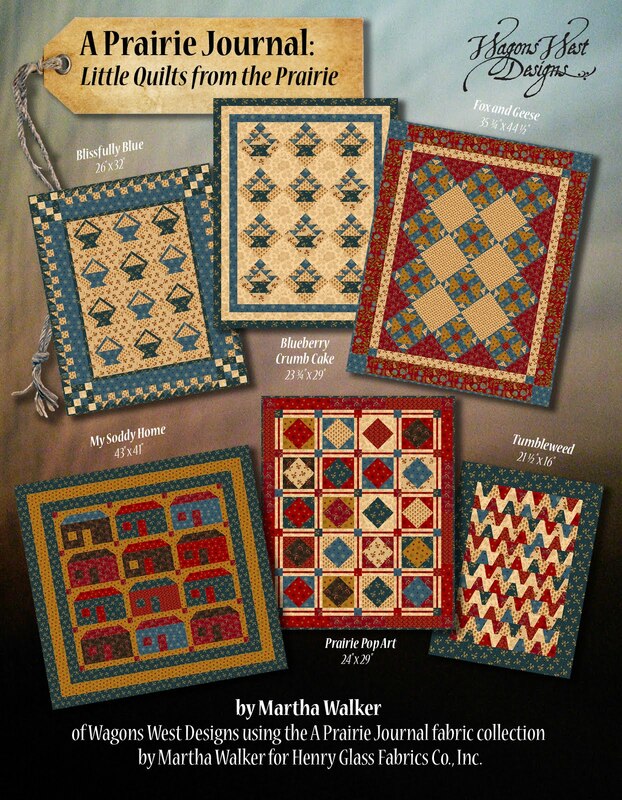 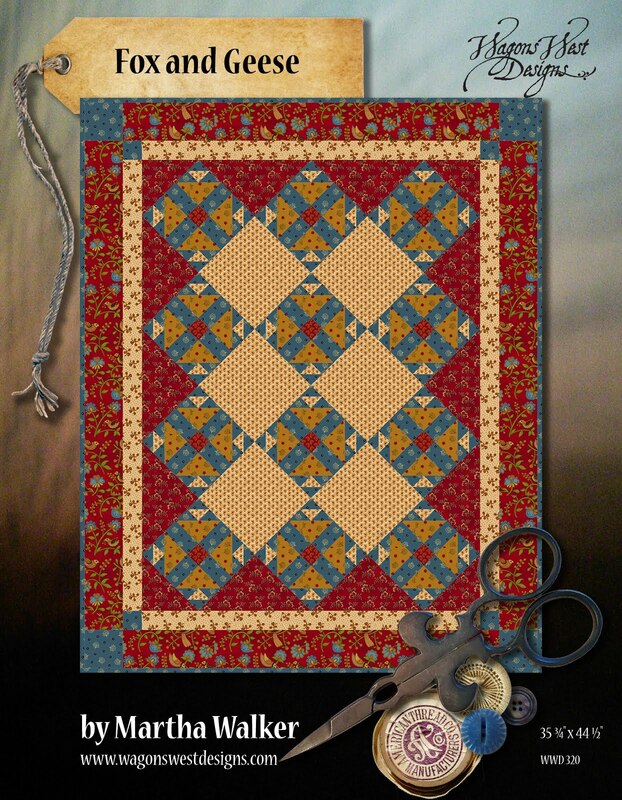 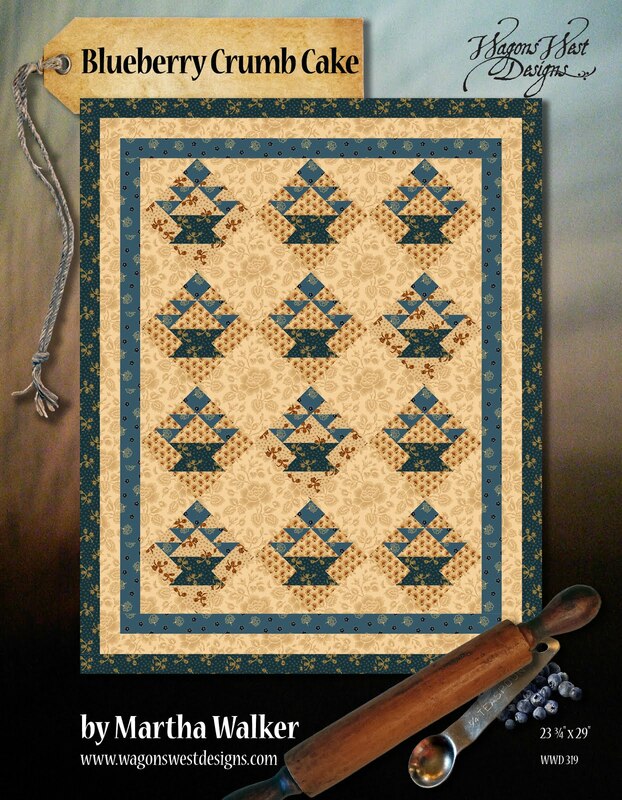 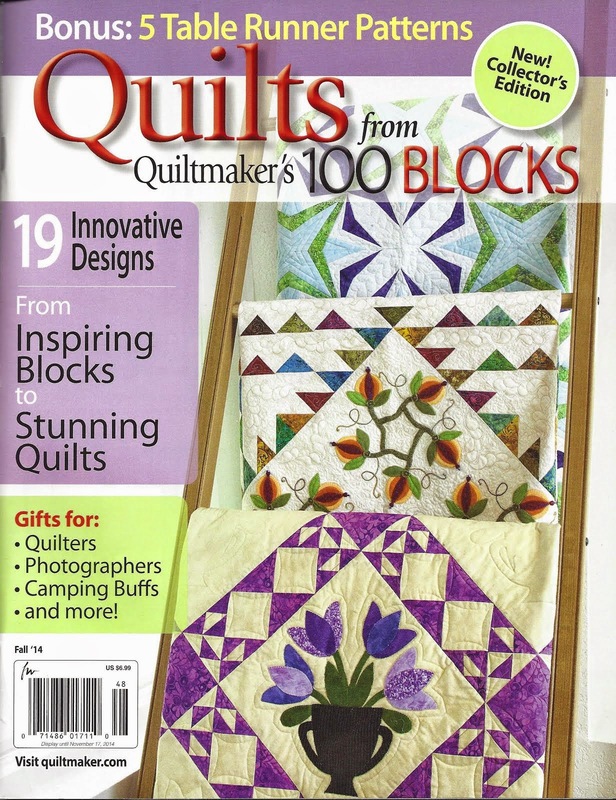 It will ship in the summer of 2016, so please let your local quilt shops know you would like to see it in their shop! 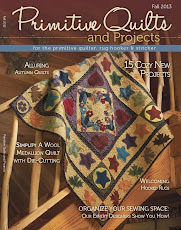 If you click on the image below, you can see the entire line, and the quilts I designed as free pattern downloads. 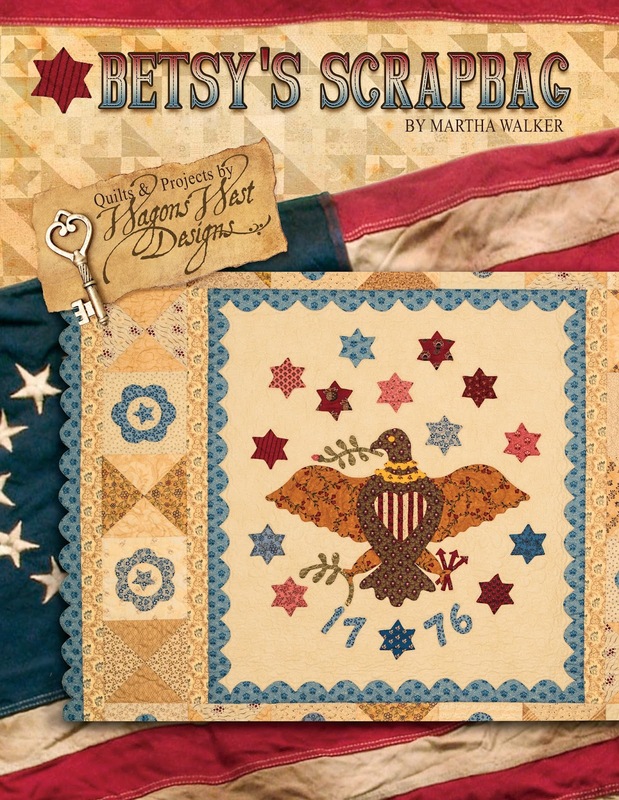 In my market booth I was also displaying some of the projects that will be included in my new book that will be released in January, 2016, "Betsy's Scrapbag". 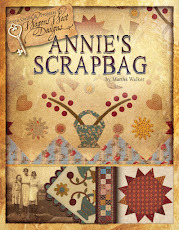 I will be working like crazy the rest of the year to finalize the book. 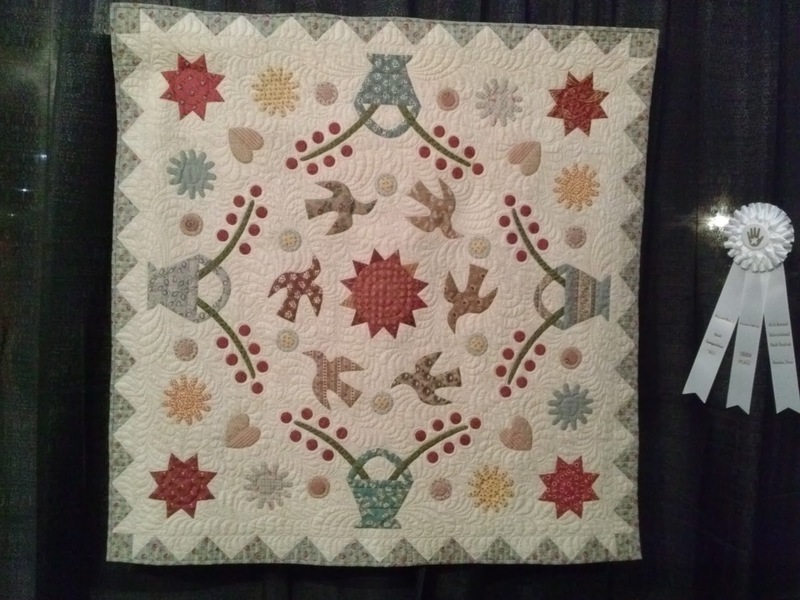 The Quilts, Inc. organizers keep the Special Exhibit portion of the show open for an extra hour so that the vendors can enjoy the exhibits after hours, and not leave their booths unmanned. 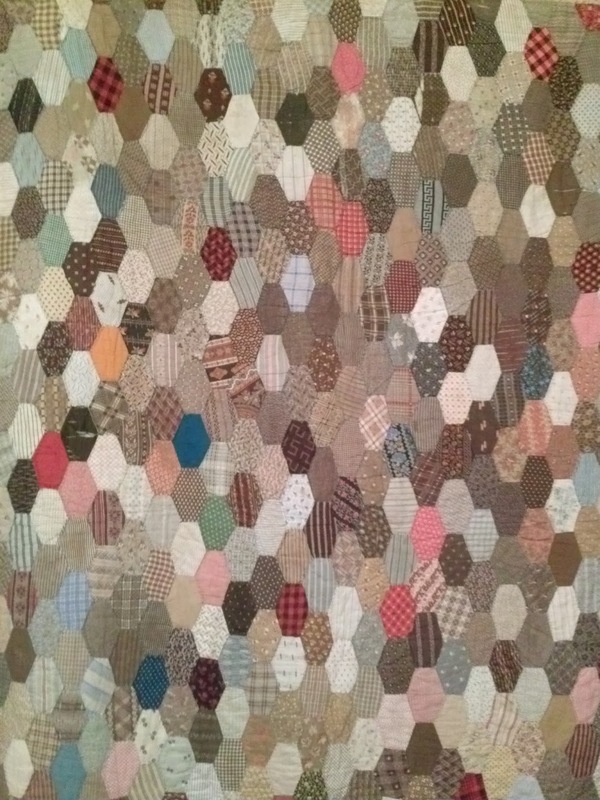 The "quilt" above is made from paper postcards, very unique. 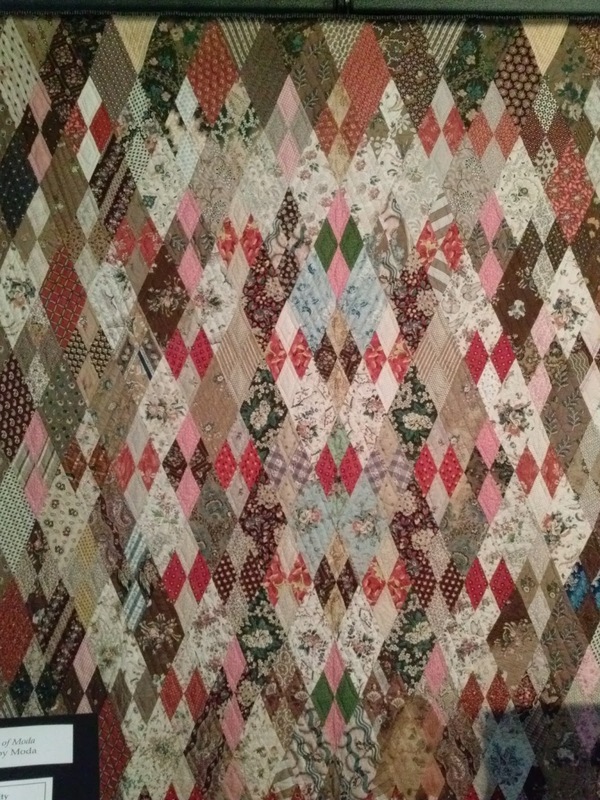 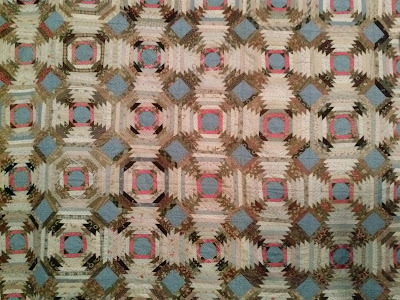 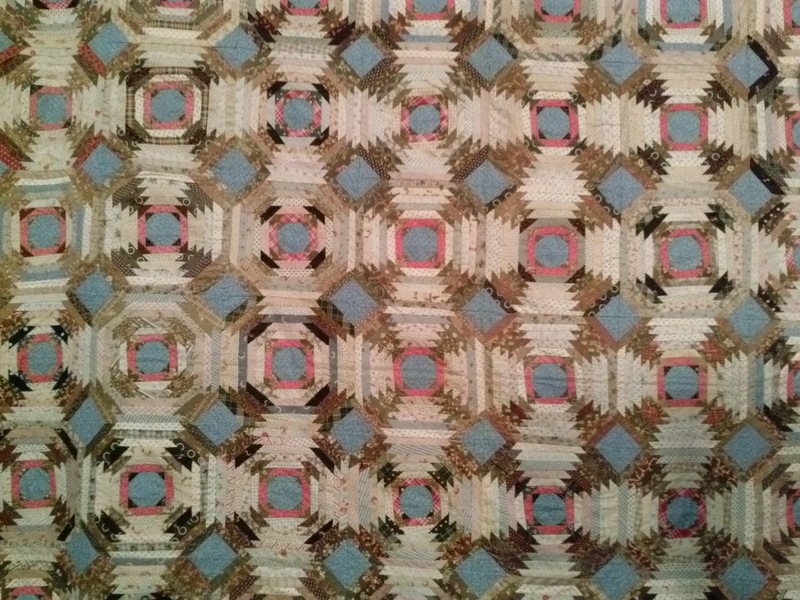 We were on our way out, when this beautiful quilt caught my eye. 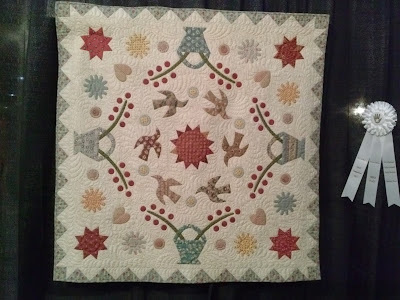 It's newly made and one of the quilts juried into the Quilt Festival. 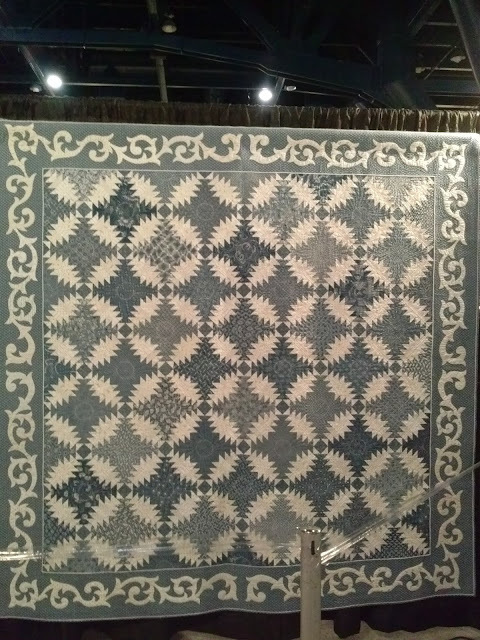 The quilt titled "Lady Indigo" was made by Carol Coffey Taylor and Martha Vincent of Beaumont, Texas, and is truly a beauty. 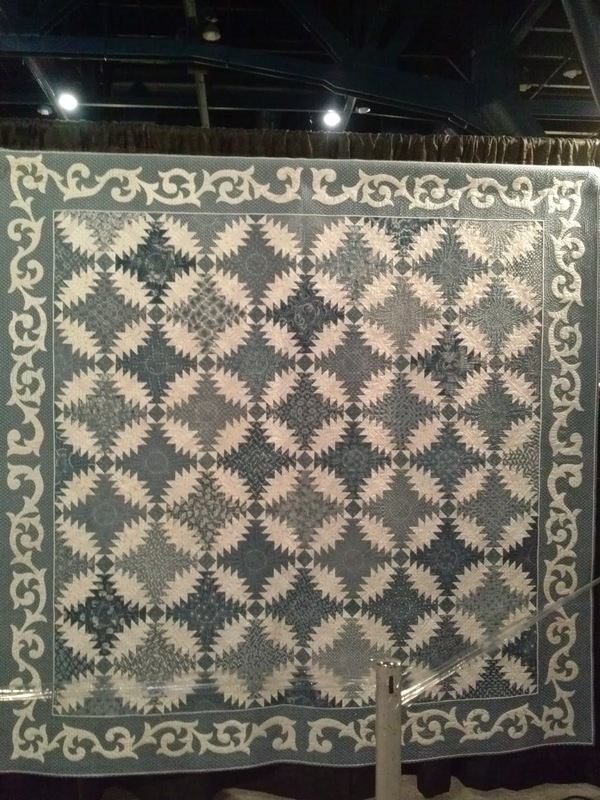 The photo doesn't do it justice. 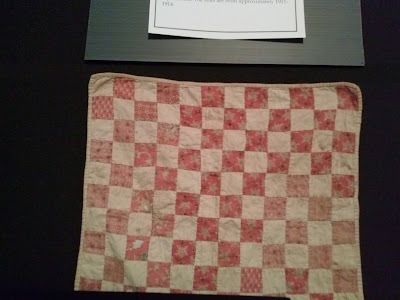 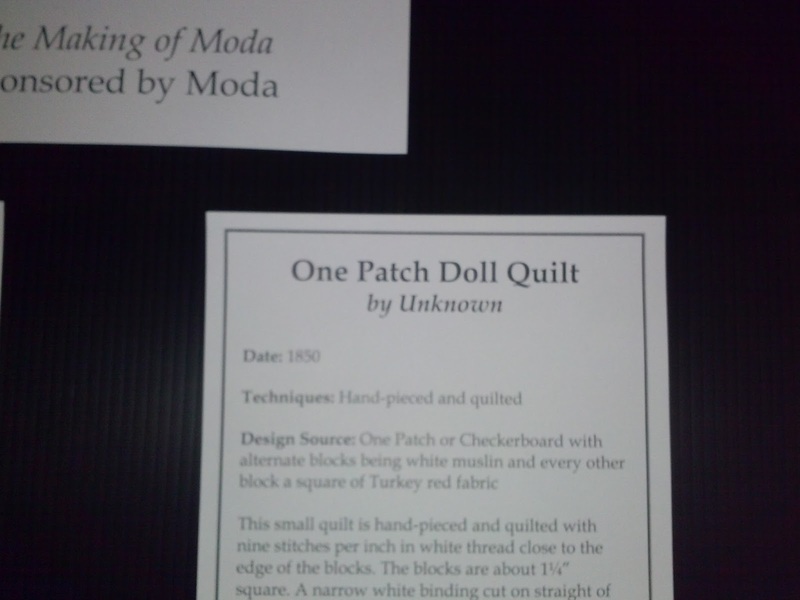 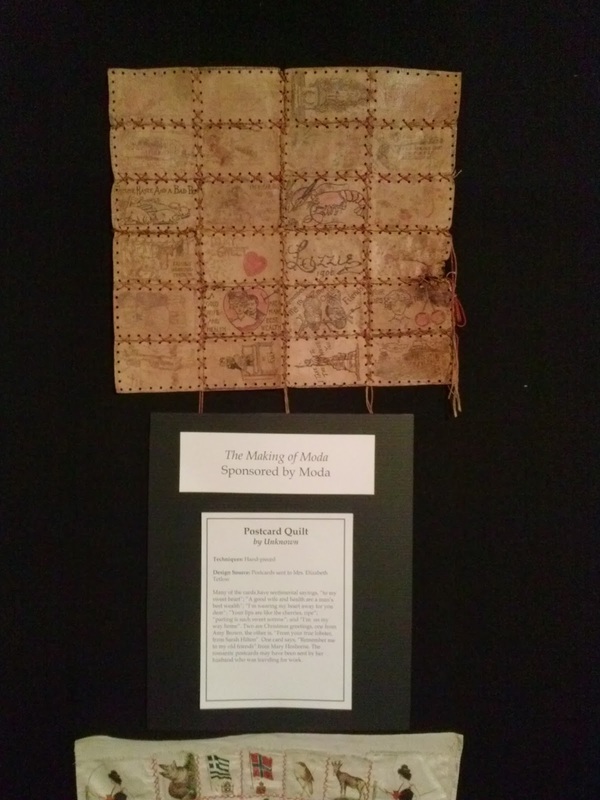 Of course, I had to go visit my quilt displayed in the Primitive and Folk Art Special Exhibit! 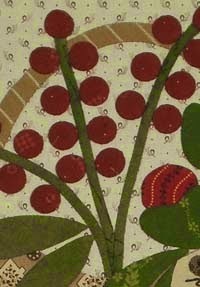 I hope you've enjoyed the photos! 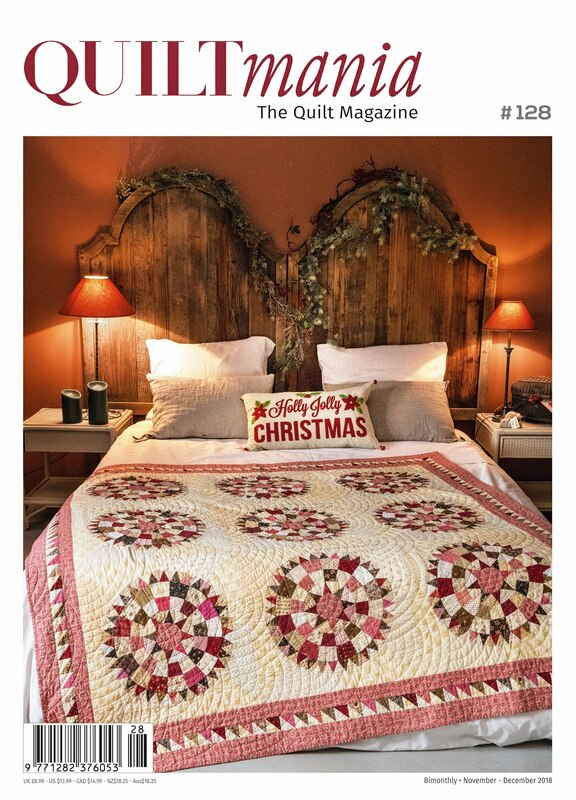 Quiltmania Nov/Dec 2018 That's my quilt Georgetown Circle on the Cover! 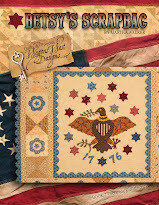 Day 7 Happy Birthday Jaftex 85th Anniversary Blog Hop and Giveaway! 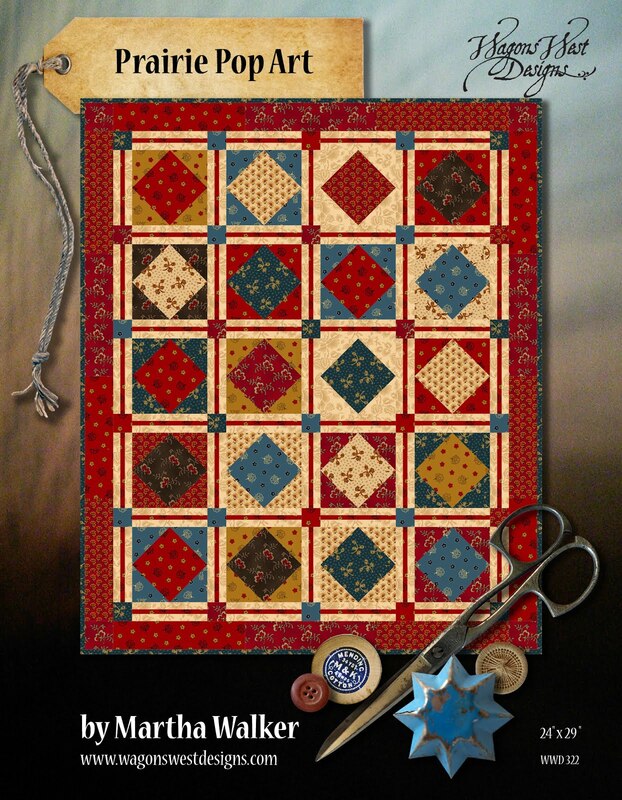 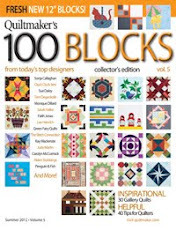 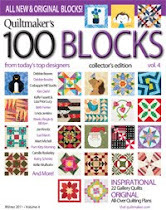 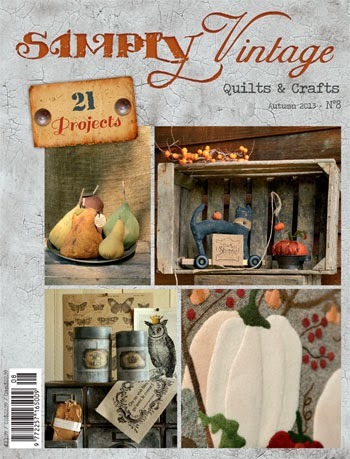 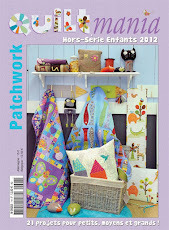 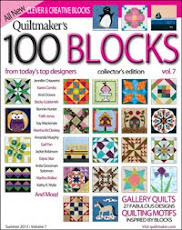 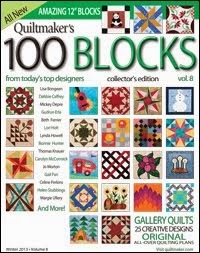 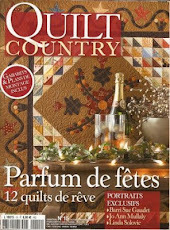 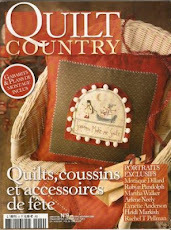 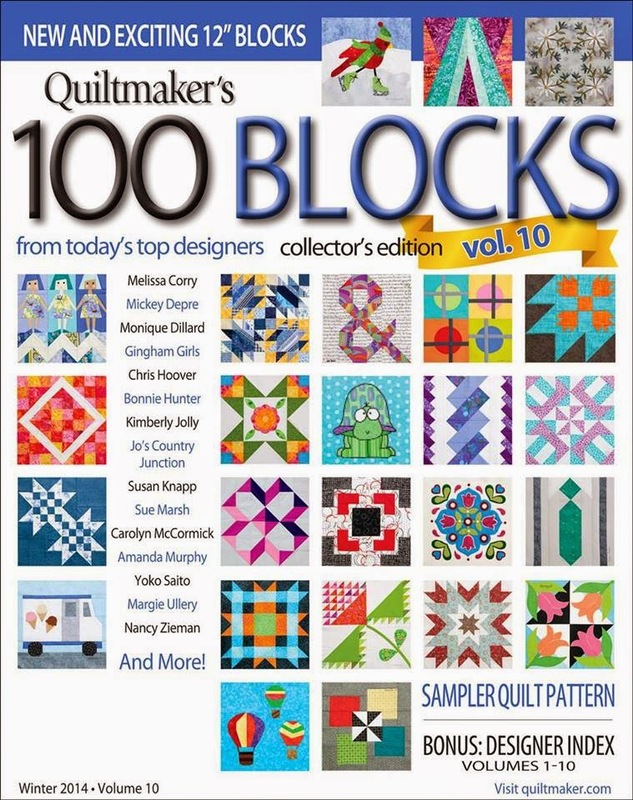 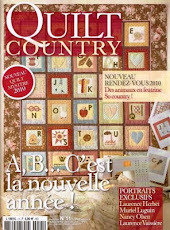 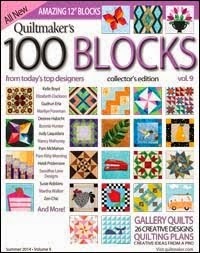 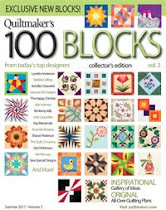 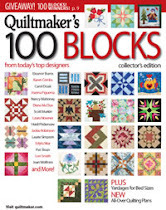 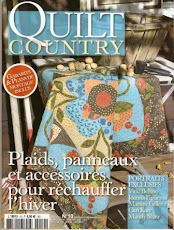 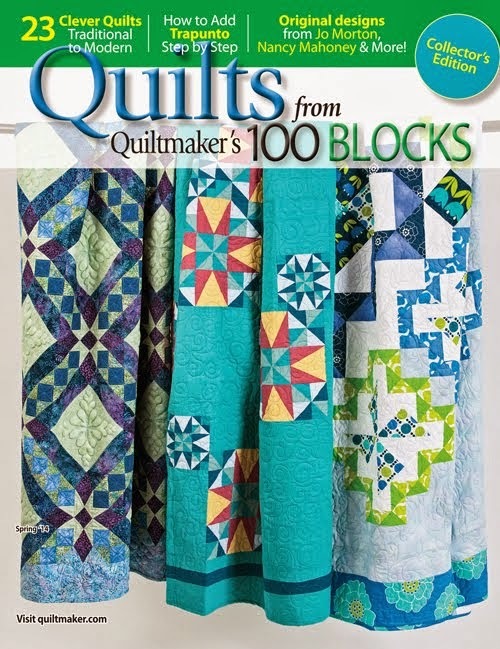 My quilt "Board Game" is featured in this issue! 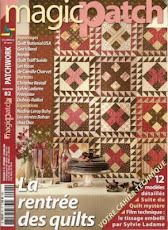 On the cover, "Hearts and Stars"! 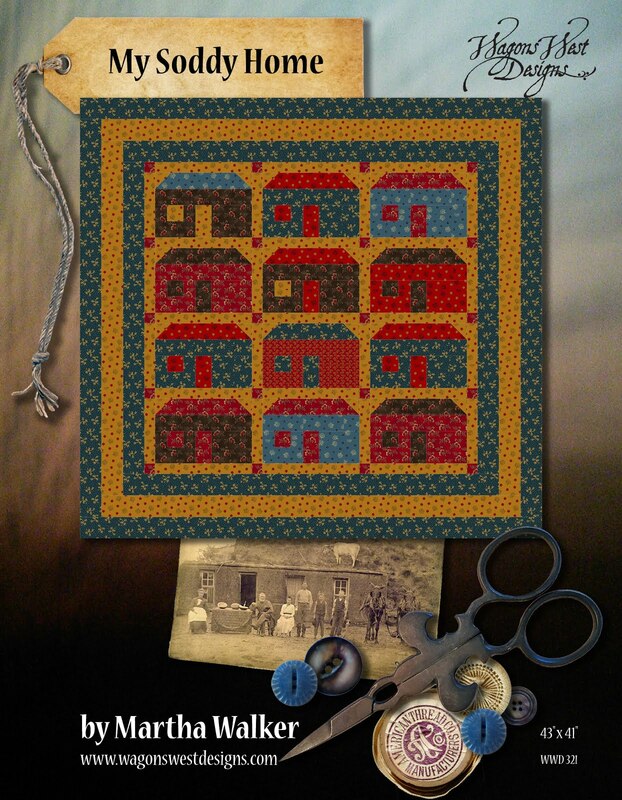 my block "Simple Life" on the cover! 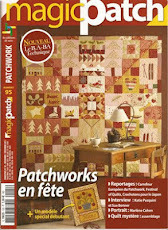 On the cover! 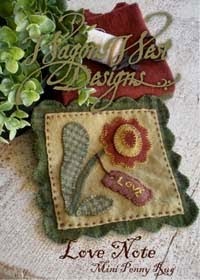 "Bittersweet Basket"! 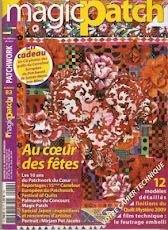 On the cover! 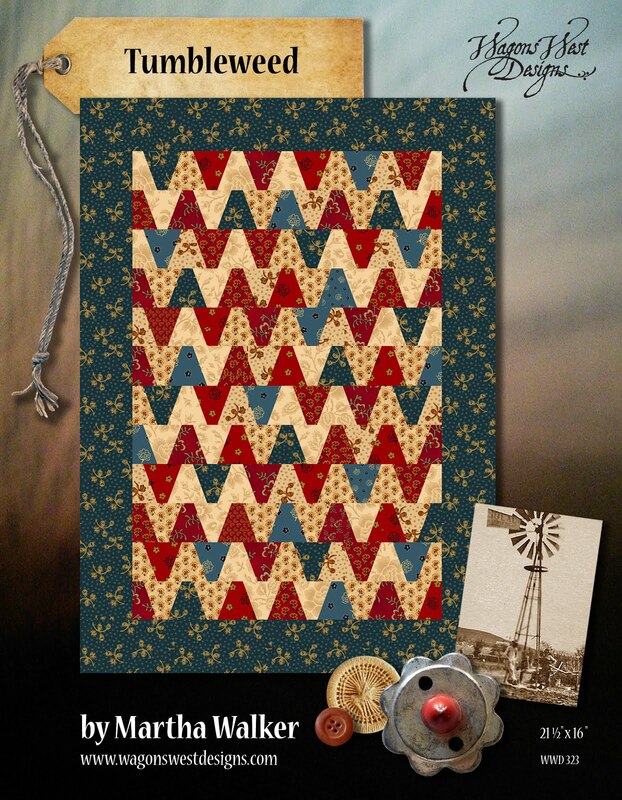 "Blooming Trumpets"! 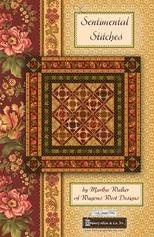 My Little Flowers Notepad on the cover!